Today OPTIMA® Batteries released a limited number of spectator tickets for its sixth annual OPTIMA® Ultimate Street Car Invitational presented by K&N Filters and Royal Purple. Spectator tickets to the Pahrump, Nevada event, which sold out in 2012, are available for purchase online. Spectators are invited to watch the action-packed event where participants – both up-and-comers and industry favorites – from around the world compete for the OPTIMA Ultimate Street Car title. Fans are advised to act quickly because the 2012 event sold out of spectator tickets. Last year, the OPTIMA Ultimate Street Car Invitational brought in massive crowds with a sold out event, more thrilling moments and record times, ultimately crowning Mark Stielow and his custom 1967 Chevrolet Camaro as the 2012 OPTIMA Ultimate Street Car. Tickets for the 2013 OPTIMA Ultimate Street Car Invitational are $30 per person and include a free event t-shirt upon entrance. 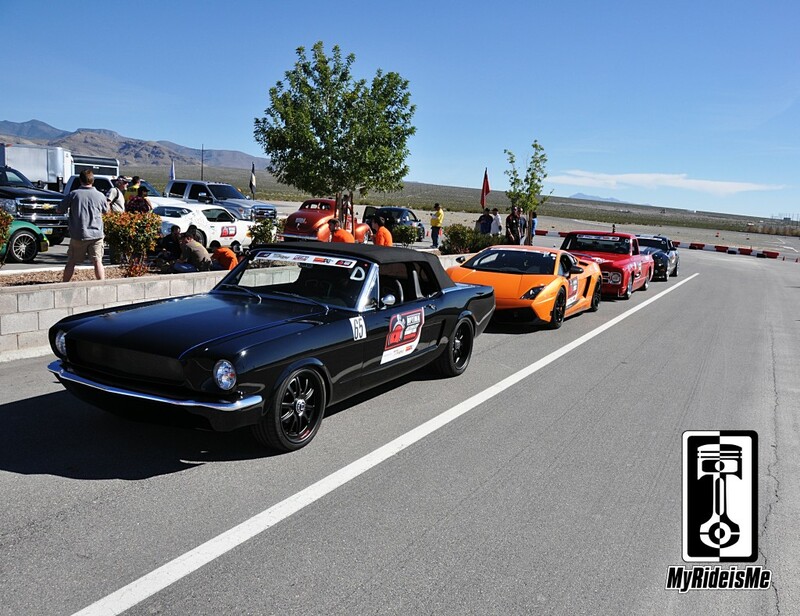 The main OPTIMA Invitational race events will take place at Spring Mountain Motorsports Ranch, a state-of-the-art racing facility in Pahrump, Nevada on Saturday, November 9, 2013. The annual event occurs immediately following the SEMA show, the premier performance automotive aftermarket trade events in the world. Now in its sixth year, the OPTIMA Ultimate Street Car Invitational has evolved to become one of the most highly anticipated and widely covered events in the automotive performance world. OPTIMA’s renowned annual event showcases the power of aftermarket performance products and will be showcased in its own special TV series. This year it includes nine qualifying events where otherwise unknown automotive enthusiasts have a chance to earn their spot in the OPTIMA Ultimate Street Car Invitational and be featured in a TV series to be broadcast starting in fall 2013 – OPTIMA’s Search for the Ultimate Street Car. These regional qualifier events encompass a wide range of performance disciplines, from open road racing to autocrossing and drag racing. They also share much in common, such as being open to street-legal and licensed vehicles, which is a requirement of the OPTIMA Ultimate Street Car Invitational. The regional qualifying events are also strategically located all over the country to give enthusiasts nationwide the chance to compete. As has been done previously, the winners of the Spirit of the Event Award at each of the qualifying events will be invited to the SEMA show in Las Vegas, and then they will compete against each other in a series of measured performance tasks and also be judged for quality of design and execution. The participant with the best overall performance and design will be crowned the “Ultimate Street Car” for the year. For this year’s OPTIMA Ultimate Street Car Invitational, spectators can gear up for dynamic street cars participating in events with high-powered maneuvers and a wide range of performance disciplines, from road racing to autocrossing. Competing events will include the BFGoodrich Hot Lap Challenge, Ridetech Street Challenge Autocross, Wilwood Disc Brakes Speed Stop Challenge and Lingenfelter Performance Design Challenge. The Detroit Speed and Engineering road rally will occur the previous day, following the close of the SEMA Show. OPTIMA Batteries is also excited to announce its 2013 Invitational sponsors, including presenting sponsors K&N Filters and Royal Purple. This year’s event sponsors are BFGoodrich, Detroit Speed, Lingenfelter Performance Engineering, Ridetech and Wilwood Disc Brakes. And finally associate sponsors include Magnaflow, Centerforce Performance Clutch and Roadster Shop. For more information on the OPTIMA Ultimate Street Car Invitational and remaining regional qualifying events, please visit www.optimainvitational.com.